Welcome to this gorgeous brick front colonial 4 BR 3.5 BA on idyllic 2.34 wooded acres w/ 2 streams.Gleaming hardwood on main & upper levels. Beautiful designed open floor plan w/ natural light throughout. Two-story foyer. Master Suite w/ walk-in closet & jaccuzzi. Radio/Intercom. Upgrades Galores! Spectacular kitchen w/ Granite Countertop & Hardwood Cabinets & Morning Room adjoining Light-filled Sunroom. Warm Family Room w/ Fireplace. Main level office. Enjoyable Deck with Expansive View of Wooded Area with Streams.2-car garage + large detached carport w/ iron gate. Separate garage for lawn mower/tractor. 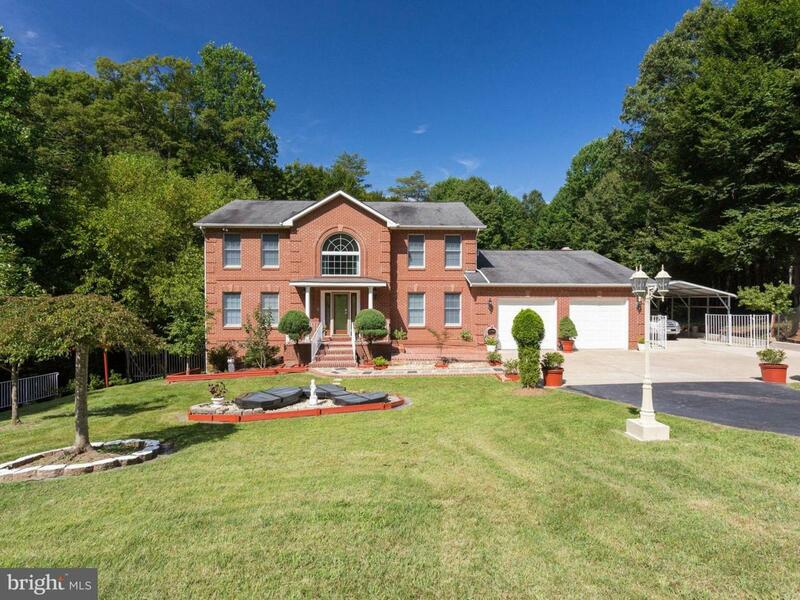 Fabulous finished walkout level & full bath. New Roof. No HOA. A True 10. RTS for closing.